Club Penguin Cheats by Mimo777 Club Penguin Cheats by Mimo777: Club Penguin: Meet-up Times for Rockhopper! 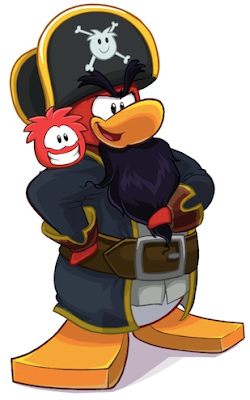 Rockhopper is back on the Club Penguin island so make sure you know where to meet him! Check out the times below! Remember, all meet up times are listed in PST (Penguin Standard Time). Hi. I realize this is not the place to leave this comment but I could not find an email or contact form. My son and I have been coming to your site for years and have been on CP for over six. I emailed CP yesterday and today received an email back telling me that there would be no Fall Fair this year! Am I the only one that is upset by this? I think we need to let CP know that we want the Fall Fair back!! Hello. I cannot find a contact form so I thought I would post this here. Yesterday I received an email response from a query to CP and they told me that they are not having the Fall Fair this year! Am I the only one upset by this? Surely if enough users complained they would bring it back!